As the world we live in becomes ever more connected and developments in artificial intelligence (AI) begin to set a precedence in technological markets, the need for critical infrastructure has become fundamental. With this rapid development, both internet connected technology, also known as the Internet of Things (IoT) and Edge computing have exerted a real influence across a number of sectors. As a result, the future will see an abundance of localised edge data centres utilising combined and hyper-converged technologies to overcome not just problems with latency, but also bandwidth restrictions, security breaches and monitoring boundaries. 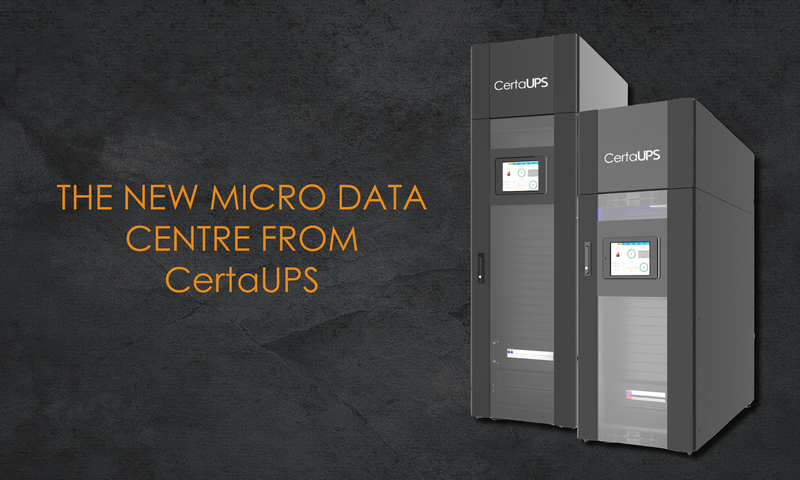 Whilst some manufacturers and suppliers have decided to go down the tailor made and costly ‘Edge’ data centre route, CertaUPS has manufactured a far simpler and more cost effective solution – the CMDC, Micro Data Centre. As a relatively low-cost and quick to deploy solution, the CMDC incorporates all the components of a traditional data centre in one prefabricated unit, available as either a 24U or 33U solution. The compact data centre is fully expandable providing the capacity to add it into the most restricted of spaces in both non-climate controlled environments and IT rooms. The CMDC Micro Data Centre from CertaUPS incorporates; the rack, UPS, PDU, self-contained cooling with no need for external pipework, monitoring, security and software. It benefits from a built in UPS manual bypass, power distribution, power metering, power management, short circuit protection and surge protection. The intelligent monitoring system is fully controllable from the 10” touch screen providing the ability to monitor, control, and report micro data centre conditions. From the control panel, it is also possible to assess the micro environment, alarm history and view and control sub-system components such as the UPS and cooling system. Not only does the CMDC provide extensive performance benefits, but its plug and play ability makes for an easy and cost effective data centre solution ideal for tier 1 and tier 2 constructions within a plethora of industry sectors including financial subsidiaries and branches, educational institutions, hospitals, public security bureaus and commercial retail stores. Whether they are deployed as low-cost and quick-to-assemble upgrade to existing IT facilities in SME organisations, or deployed at the ‘Edge’ of a network to complement cloud computing structures, whilst supporting the reduction of superfluous internet traffic and mitigation of latency, micro data centres are already beginning to play an essential role in the computing landscape.